Rico – Ska’s Trombone Legend | If You See What I Mean… | Musical notes. Here’s my tribute to a musical hero. The Specials were quite an act – one of the youthful ska revival bands of the early eighties they were one of the main reasons that a previously obscure and forgotten caribbean musical style was suddenly hugely fashionable in England. 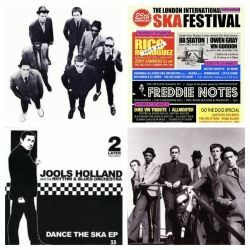 Not only musically (ska had been a mainstay of 70s skinhead music for many years) but also fashionwise, as many UK teenagers leapt into this lively musical explosion led by groups like Madness, The Beat, Selector, Bodysnatchers and Coventry based Specials and adopted a dress influenced by ‘rude boy’ fashions from Kingston Jamaica: Black and white button-down mod suits and pork-pie hats. I was young and crazy in those days so was easy to find. I’ll be the one baiting the security guys and skanking like a rudie. Reggae and dub had been a love of mine since Bob Marley and Toots days. I’d picked up my first dub plate aged just 13 (Rupie Edwards ‘Ire Feelings’) Now it was being played by working-class British lads the connection was strong. The Specials drew a rebellious audience from many different backgrounds. On many occasions there were conflicts in the audience between folks who loved the multi-cultural vibe of this wonderful musical style and others who were less appreciative of the disparate British racial backgrounds drawn to the scene. Rico, I now know, was one of the Specials’ brass section. “Too Much Too Young” struck up on stage, appropriately. Some pop songs emerged from British Commonweath countries and Jamaica was soon a huge influence not just musically but socially. Even out in rural West Yorkshire the culture of the Caribbean and India/Pakistan was quietly transforming a sleepy country increasingly willing to accept those warm West Indian vibes. As a kid I couldn’t get enough. Many ordinary Jamaicans had made a courageous life-changing step and emigrated to England in the late 50s and early 60s looking for a better life. Rico Rodriguez was among the first. He’d already lived a life or two. Born in Cuba and raised along the rougher edges of Kingston Jamaica and had been schooled by a notoriously disciplined institution run by Catholic nuns. There was a strong marching band tradition at the Alpha Boys School and soon many of its alumni would shake Jamaican music to its roots. Four founding Skatalites, Cedric ‘Im’ Brooks, Leroy “Horsemouth” Wallace and Yellowman to mention a few all passed through the Alpha doors. Rico was fast friends with one of the greats. Don Drummond quickly emerged as one of the greatest trombone players of his generation. Alpha Boys had given him a classical and jazz training. Top musicians such as the Skatalites were all adept at adopting popular touristy styles like mento, calypso and steeldrum to more inspiring American influences like jazz, boogie woogie and rhythm and blues. Both Don and Rico brought a wide musical knowledge to their work, and Don Drummond in particular led the way. I’ll tell the full story of Don de Lion, another time. Don and Rico both got busy with the emerging recorded music scene, built by the likes of Coxone Dodd, Duke Reid and Ken Khouri, who operated the most sophisticated studio of the day, Federal. None made any money back then but the buzz and the invention was amazing. Popular sound systems has schooled dancing audiences in the music of Charlie Parker, Duke Ellington and Fats Waller. Now it was time for invention, and very soon a new home-grown Jamaican style of music was born. First Ska, then Rock Steady music emerged into this newly independent country with a brand new pride in its own indigenous culture. Rico moved to inner city London (in Rico’s case Cambridge Road, Kilburn) back in the days when things were not easy. Making it as a musician Kingston was hard enough, but it was no easier in England where the home-grown scene was barely off the ground. There were some quality sound systems already making waves in the city – and Rico was soon a regular at Roaring Twenties, a West end outfit. 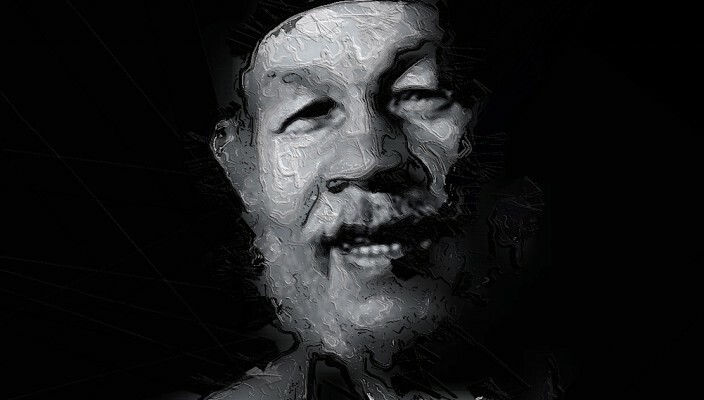 One of the first caribbean artists to build up a reputation was Laurel Aitken, a London-based Blue-beat singer who had a loyal following amongst the first and second generation West Indian community. His label owner was always keen to make connections back in Ja, and soon acts like Prince Buster were recording in London too.Songs like “My Boy Lollipop”, a doo-wop cover by novelty act Millie Small (arranged by top Jamaican musician Ernest Ranglin and produced by Island’s Chis Blackwell) had been a UK smash hit. Rico, schooled in jazz and classical music and a pioneer of the now fashionable ska sound, was always on the scene to arrange the brass section and give recordings some extra Jamaican punch. Me? I always loved The Prince. 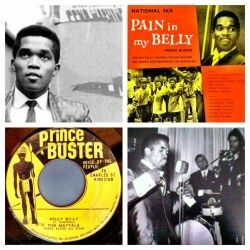 Prince Buster was a major character on the reggae scene both in Kingston, where he produced provokative (and funny) songs about the Rude Boys (‘Judge Dread’ “Hard Man Fe Dead” you know) and in England where he was quick to pick up on the bawdy inuendo that the UK audiences loved. As so many Jamaicans got into rastafari Buster was turned onto the Nation of Islam and as a consequence his influence was pushed into the background. 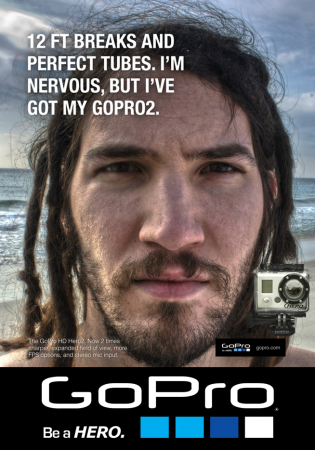 Rico was there at the London sessions, though…but that too is another story. Soon Rico was on the Island Records books as a professional session man, playing with Jim Capaldi, Burning Spear, Toots and the Maytals and supporting Bob Marley and the Wailers in their ’78 European tour. You can hear Rico’s distinctive sound on so many cool songs of the era. Paul Young’s pop hit “Love Of The Common People” (which had been a big Joe Gibbs produced roots hit for Nicky Thomas) was one. Joan Armatrading, Ian Dury and reggae poet Linton Kwesi Johnson all featured Rico solos. A quote from John Martyn, whose song ‘Certain Surprise’ features a Rico solo. Martyn said in his sleeve notes ” “Rico walked in, played the one solo and walked out. I couldn’t believe it. It was a difficult tune – semitones all over the place, a tricky little number – and then he walked in and did it in one. I love Rico. One of my favorite people in the world. A gentle man”. 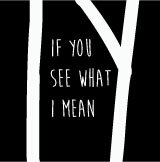 It is in this period – funded by Island – that Rico’s best known record merged. “Man From Wareika” is the most stunning International Reggae work. 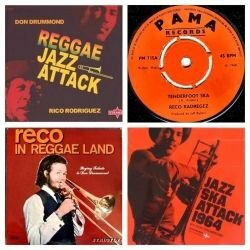 Rico’s Jazz, classical, ska and caribbean influences all come into play, a genuine landmark in Jamaican instrumental music. It’s hard to put a hat on “Man From Wareika”, recorded in a number of important studios of the era including Joe Gibbs, Randy’s and Island Record’s own Basing Street back in West London. We’re talking Sly Dunbar, Robbie Shakespeare, Bunny McKenzie, Junior Marvin, Lloyd Parkes, Ansel Collins, Tony Washington, Duggie Bryan… A who’s who of the top roots reggae stars of the day.